In September of last year, two women clambered onto a stage in Montreal before a gaggle of reporters. 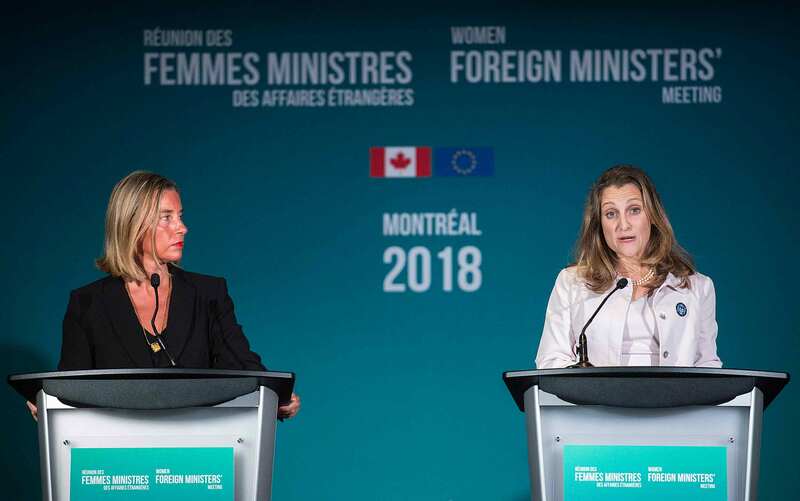 The Canadian foreign minister, Chrystia Freeland, spoke first, and her European Union counterpart, Federica Mogherini, followed. A mild frenzy of attention and excitement had trailed the two women in the days leading up to this “historic” press conference. Freeland had hosted a first-of-its-kind convening of the world’s female foreign ministers. In a generally dismal moment for world politics, the event was just the thing to gladden gloomy hearts: The man leading the United States may be championing fortress-like walls, but here were the world’s women leaders offering a positive vision for the future. Not many seemed to notice that Freeland had made only one specific promise about her country’s adoption of a Feminist Foreign Assistance Policy: to hold another meeting in 2020. Mogherini, for her part, did not have any such announcements. For those who had watched Canada disingenuously label its international-assistance policy as “feminist,” the summit was depressing. The perfect rhetoric and substantive emptiness was another indictment of women-empowerment efforts that tend to view “feminist” as a branding tool rather than a realignment of power relations. A new report by Oxfam Canada (which partners with the Canadian government in the implementation of the feminist international-assistance policy) admirably attempts to lay out what women’s economic empowerment should look like; yet its failures reveal the limitations of an apolitical framing. “A Feminist Approach to Women’s Economic Empowerment: How Canada Can Lead on Addressing the Neglected Areas of WEE” deserves credit; its attempts at a frankness are rare in paeans to the newly in-vogue feminist this or that. On page 7 (which is rather early in the realm of reports of this sort), it admits that the “dominant ‘add women and stir’ approach” has some “notable limitations”—the most significant being that there may be contradictions between the goals of increasing economic growth (the ostensible project of economic empowerment) and uplifting women, especially the poorest. It’s a commendable admission. But even the correctives proposed by Oxfam Canada fall several steps short, suggesting ideas that sound radical, like “feminist collective organizing,” but which absent a political framework are easily tamed. The near-erasure of the political from the text of the report is unintentionally its greatest truth. The authors present a rousing case for intersectional approaches, contextualized understanding, and investment and support of feminist and labor causes, but do so without barely a nod to politics; this reveals just how uncomfortable the world of women’s economic empowerment is with confronting power. The reasons are no mystery either; as my co-authors and I enumerated two years ago in our own report “Emissaries of Empowerment,” the language and world of economic development as it pertains to women has relied on depoliticizing its subjects and in reducing them to pliant receptors of whatever empowerment gimmick donor organizations or countries have for them. It is, as we noted, a recipe geared toward pleasing the givers rather than actually empowering the recipients. Nothing much seems to have changed, either in reality or in the reports that seek to correct it. Oxfam Canada goes further than others, noting that gains in economic empowerment cannot be safeguarded without attention to social norms and rights. At the same time, its insistence of investing in certain sorts of organizing—like its call to support women’s labor rights and access to decent work opportunities and conditions—disregards the fact that the identities created to fit only these criteria are nearly always top-down and not grassroots efforts. There are good reasons for this. 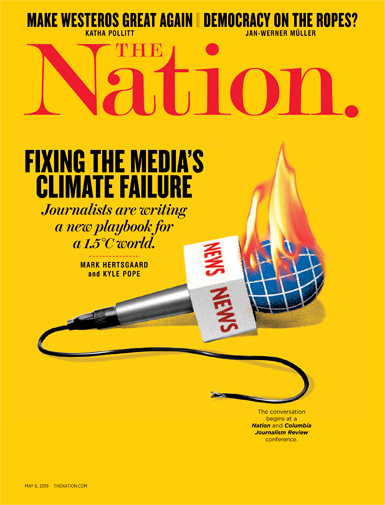 An overt call to support political action would undermine both the power and the reach of the nonprofit industrial complex whose existence derives from an apparent, if not actual, commitment to political neutrality. Being up-front about a preference for projects with political ends may have an adverse impact on a transnational NGOs accessibility to certain countries. In certain places, this is already the case. NGOs working on issues such as freedom of speech and individual civil liberties often do not have access to authoritarian contexts. This overt commitment to a set of political rights, particularly as they relate to women’s empowerment, may make the aid that is granted more effective than current disbursements that skip the issue. Of course, transnational NGOs proffering to deliver women’s empowerment do not shy away from political confrontation for fear of being denied access by authoritarian regimes. Colonial notions of benevolence often undergird the work they do, with the delivery of “empowerment” central to maintaining an idea of supremacy. The international NGOs often command massive budgets and define what empowerment means for the millions of global beneficiaries to whom they profess to have delivered it. An admission of the complexity of empowerment would be a blow to the tremendous power these organizations wield, for it would require a tacit acknowledgment to the logical conclusion; that empowerment may not be deliverable or neatly measurable. It is unfair, however, to hold a single well-intentioned report as the fulcrum of denial around which all the problems of women’s economic empowerment rotate. In the end, the “add women and stir” approach remains dominant because it co-opts women in a way that dislocates men from optics but not from power. Years after Prime Minister Justin Trudeau declared himself a feminist, Canada’s global feminist talk has produced only a flailing feminist walk. Even if Canada were serious about empowering women, the country spends only 0.26 percent of its gross national income on development assistance, a figure far below the international benchmark of 0.7 percent. The country is hardly investing in any type of economic empowerment, let alone feminist economic empowerment. Last year, there was a revealing and significant Canadian feminist-foreign-policy failure. In November, the Trudeau government negotiated the United States-Mexico-Canada Agreement, surely a difficult task given the intransigence of their American counterparts. Still it was disappointing that the final version of the USMCA contained only one mention of women, a club-footed phrase stating that the agreement will “seek to facilitate women’s and men’s equal access” (emphasis added). The Trudeau government had ambitiously planned to include a whole chapter on gender rights in the USMCA, but negotiations as we all know are tricky things, and politicians—even women like Freeland—tend to genuflect to patriarchy. In the international development context, women’s economic empowerment may adopt feminism as a brand, but adopting it in substance would require a relinquishing of power by aid professionals, elite women holding high-level political positions, and local intermediaries that deliver aid. In their stead would be local and grassroots beneficiaries, whose access to aid could be made dependent on their willingness and ability to create participatory networks that create consensus and determine policy directions. Expatriates and intermediaries would have much smaller roles, with aid administration costs capped at certain small percentages of the total budget of the program. In our current world, development aid for women has a duplicitous function. Its visible face is one of altruism of the powerful catering to the less so without the taint of self-aggrandizing quid pro quos. Unseen is the influence that aid donors exert over the lives and economies of the recipients. Women, from Ghana or Pakistan or Syria, who have been “empowered” by the microloan or the capacity-building workshop on feminist organizing are trotted out any time that the saviors in question need to cover up arms sales or a bombing. Canada may tout a feminist foreign aid policy, but it has recently sold armored vehicles to Saudi Arabia, helicopters to the Philippines, and explosives to Israel. Truly freeing women’s economic empowerment from the clutches of this exchange would require dissecting and dissipating the myth of its altruism and allowing empowerment programs to account for the complexity and flexibility that would emerge from grassroots actors instead of expatriate overlords. The word “feminist” is often reduced to a catchy adjective that flits then flops in front of whatever matters are du jour. When it comes to international aid, look past the branding and look at whose power it really builds.